Dr. Daniel Serpentelli’s holistic approach helps you recover your health and maintain it with natural, safe and effective healing solutions. Physical, chemical and emotional stresses are ever-present in our environment. Bradenton Chiropractor Dr. Daniel Serpentelli gives your body the boost it needs to adapt to theses stresses with drugless, surgery-free health solutions. The Integrated Physical Medicine team treats you with respect, giving a personal touch to your care and always ready to assist you in any way possible. Our mission is to assist the God given innate healing powers of the body to help eliminate pain and suffering, to restore, improve and maintain optimum health. To improve function and prolong quality of life in as many patients as possible through chiropractic care and other natural means. 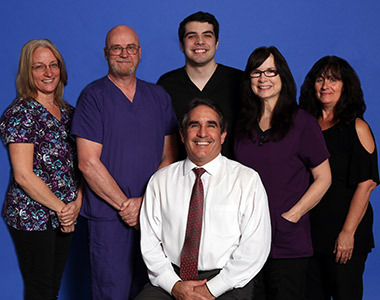 With over 25 years of experience, Dr. Serpentelli treats your full body including shoulder, hip, elbow, wrist, knee, ankle and foot in addition to the spine. 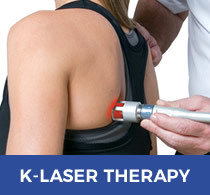 We offer Loomis Enzymatic Therapy, advanced laser therapy and massage therapy to help your body’s recovery process. 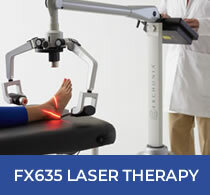 By combining these services, your body can repair and regenerate more effectively. The power that created the body is the same power that can help cure the body. As a chiropractor, Dr. Serpentelli seeks to remove any nerve interference present that prevents your body’s natural healing abilities from working properly. When this interference is removed, your natural health mechanism can function correctly. Dr. Serpentelli has undertaken three years of postgraduate education in Functional Internal Medicine, so he can recognize which issues are suitable for chiropractic care. If we find that you have a medical problem, we will refer you to someone in our network of specialists as appropriate. You will move forward in your journey, no matter what your health challenge may be. 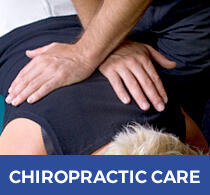 Discover what our chiropractor Bradenton can do for you. Contact us today! We accept insurance and offer same-day appointments. We now carry Healthy Hemp Solutions products! Doctor was the best, excellent service, staff went above and beyond to contact my insurance company and schedule appointments. This is the place to go if you need a chiropractor. The best chiropractor I have been to since I moved to Florida! Staff is super friendly. I have never had to wait, the office always running on time. I’m glad I found them!! Love all the integrated therapies, the doctor and staff are all super knowledgeable, helpful & friendly. I would not hesitate to recommend this office. After the second week of treatment…if was pain free! Thanks Doc! I was so thankful to be seen the same day. I felt like my medical history was actually considered, xRays were taken to determine cause, and a care plan was explained, which I appreciated. I was so thankful for the gentle care that was taken as I was in a lot of pain and was apprehensive of standard chiropractic techniques. The first visit was actually relaxing and I’m hopeful of the future outcomes. Thanks again! Great Dr. I feel better than I did when I got there for sure. I found my perm chiropractic place. Thank you for seeing me unexpectedly! Love how I was treated! Thank staff are very knowledgeable and empathetic. 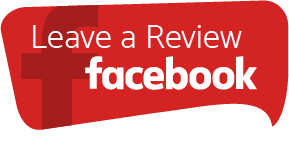 Dr. Serpentelli is very attentive and the adjustment was an easy process. Luke explains everything he is doing well and was very attentive to my needs as a patient. I will recommend Integrated Physical Medicine to anyone who is having pain, stiffness or other difficulties!! 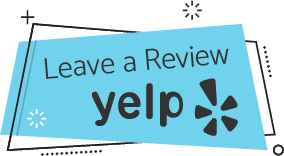 So far I’ve been here three times and I am very happy with the level of service and attention to my needs. The staff is knowledgeable efficient and effective. I feel much better already! Thank you! Glad to meet such a wonderful group of people. Always smiling and positive atmosphere. Dr. Daniel Serpentelli is the best of the best! 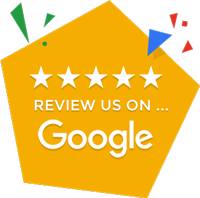 He has helped me recover from some extremely painful back and neck issues with ease and without medication, even avoiding surgery due to the excellent treatment I received at Integrated Physical Medicine.